Explore the complete canine anatomy in unmatched 3D detail. 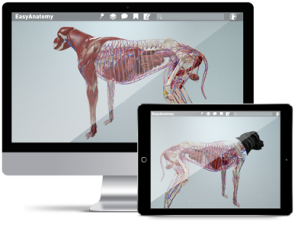 Students at every stage of their veterinary medicine degree benefit from EasyAnatomy’s virtual dissection and adaptive quizzes. With a focus on clinical relevance, students learn what they need to know during dissection labs, clinical studies, and procedures. Practitioners and their clients benefit from EasyAnatomy’s interactive canine model and animations of common pathologies. 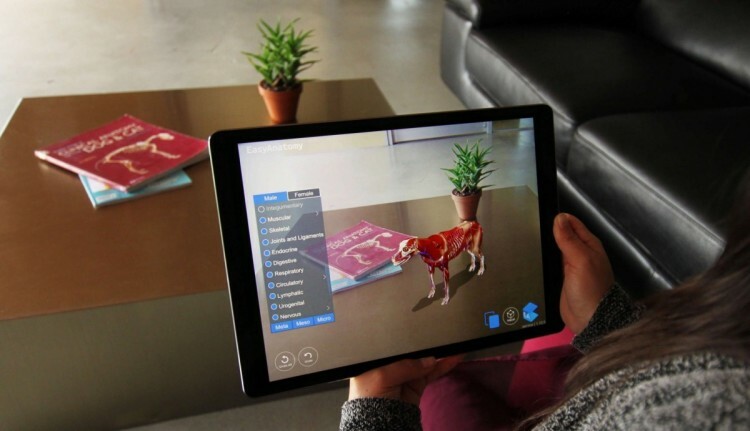 As the most advanced interactive 3D canine anatomy client communication tool, EasyAnatomy breaks down the communication barrier and increases client compliance. This program is amazing and I definitely believe it is the reason I received perfect scores on my first anatomy exams (practical and written)! The app is brilliant... this is looking like the best anatomy app ever. Great job guys. In my experience, until EasyAnatomy, I've yet to see educational software designed for veterinary faculty and students that combines detailed 3D visualizations, trustworthy content and helpful study aids to solve the challenges of teaching and learning anatomy. The ability of the app to help out with muscles that are difficult to see in real life dissection is wonderful. The spinal column muscles would have been infinitely easier to learn if I had this two years ago!! As an educator, I need to adapt to the times, and engage my students in ways that suit their learning styles. Not only does EasyAnatomy do this, it provides a way to view and learn anatomy that simply isn't possible anywhere else. Anatomy has always been a difficult subject to learn and teach. 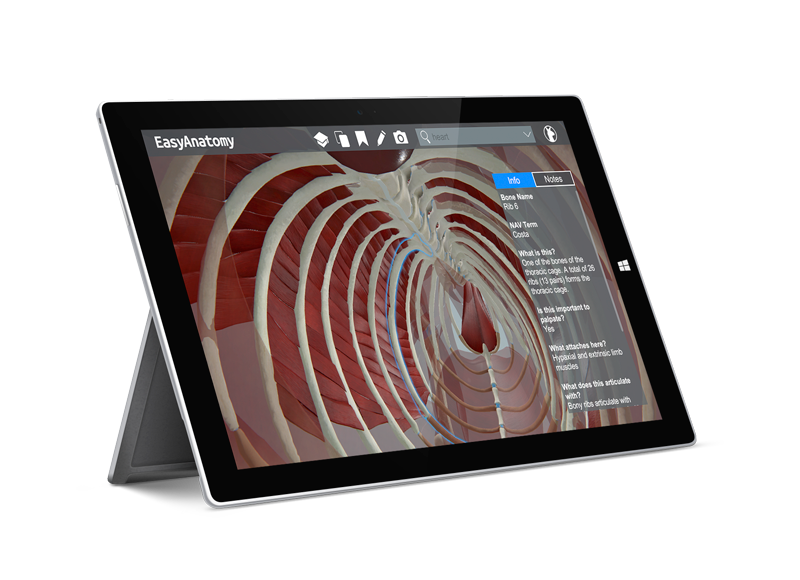 EasyAnatomy provides a novel tool which will allow students to explore and understand anatomy in a three-dimensional manner which has not been possible until now. One of my classmates introduced me to the EasyAnatomy app and it's been absolutely amazing at helping me retain and integrate information. Built in partnership with leading international institutions, and powered by the latest research in cognitive neuroscience and learning theory. Bring EasyAnatomy to your classroom and join the distinguished educators and universities around the world already using our interactive anatomy learning platform to enhance their curriculum.